With Tennis and Golfers Elbow it usually is caused by an overload of the muscles and tendons in the forearm, close to the elbow. It can occur as an injury, from repetitive movements, or can be caused with incorrect grip or technique in sports such as golf or racquet sports. With Tennis and Golfers Elbow you usually experience pain or weakness in the elbow or forearm. With tennis elbow you may feel the pain or weakness on the back of the forearm. With golfers elbow the pain or weakness will be felt on the front or palm side of the forearm or elbow. Advice on technique/s for work or sport. Provision of specific resting and/or sports braces to reduce pressure on the muscles. Soft tissue treatments such as massage, safe stretching, acupuncture, heat packs. Correction of ergonomic positions for activities such as keyboard work and writing. Exercise and rehabilitation programmes to return to optimal pre-injury loading ability. 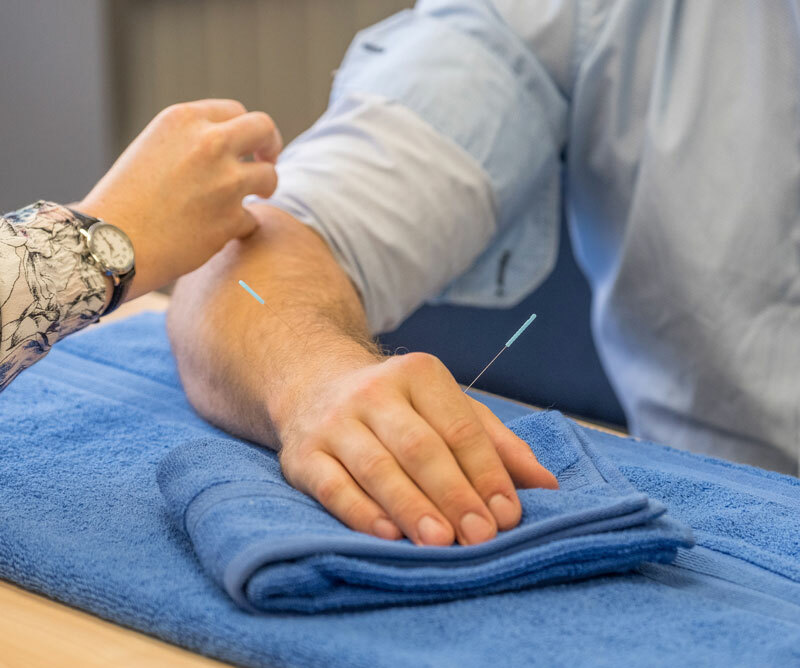 If you are experiencing pain around the elbow we can happily guide you on your options to improve your level of comfort, and get you on the path to optimal healing. Sometimes a few simple changes and soft tissue support can significantly improve your healing and level of comfort.